Here in Seattle we usually see hummingbirds around our Ballard home year around. Two species of hummingbirds are common to Seattle: the Rufous (or Rufus) hummingbird, which migrates to Mexico for the winter; and the Anna's hummingbird, which overwinters here in Seattle. Typically weighing over 4 grams, the Anna's hummingbird is the largest hummingbird on the West Coast. This female Anna's hummingbird kept returning to our feeder throughout this morning. Every year we are amazed that such a small bird can survive the winter, even here in Seattle, but they certainly do, especially with a little help from their friends. Hummingbirds must eat more than their weight in food each and every day! Watching this little female Anna's hummingbird keep returning to our feeder got us thinking it was time to start preparing to help our outdoor bird friends get through the coming winter. By all accounts, this winter is shaping up to be a tough one! Anna's Hummingbirds normally have a body temperature of around 107 degrees Fahrenheit—that's a scorching temperature for a human. When outside temperatures fall, Anna's and many other species of hummingbirds enter torpor. Their breathing and heart rate slow, and their body temperature can fall as low as 48 degrees Fahrenheit When the temperature warms, the hummingbirds can become active again in a few minutes. The best way to help resident hummingbirds survive through the winter is to hang a hummingbird feeder. 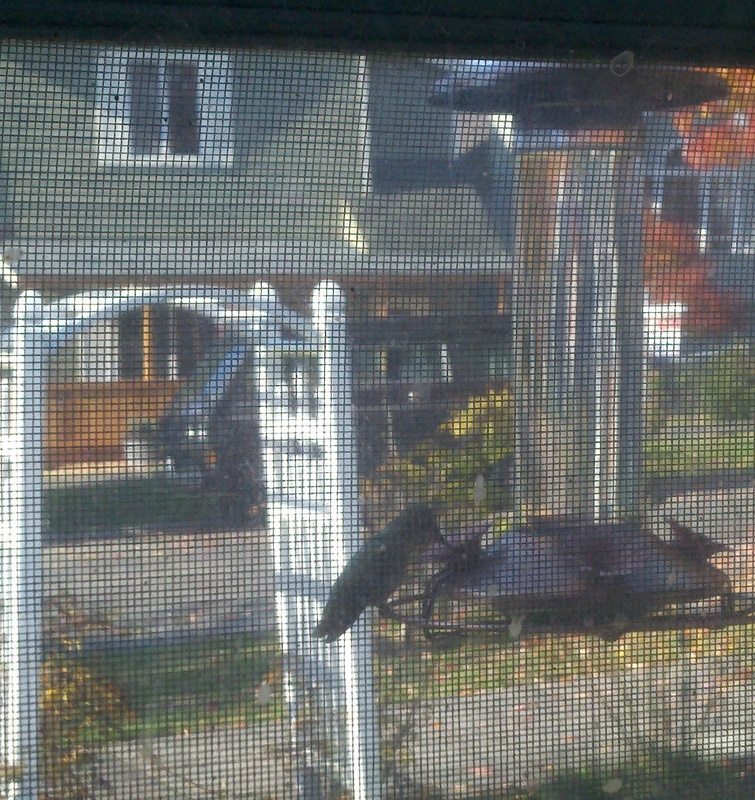 We put ours right outside our kitchen window to give us a good view of the hummingbirds feeding. Ours hangs under the eaves to give the feeder some protection, but it's not in a particularly secluded spot. The hummingbirds don't seem to mind. Our hummingbird feeder attracts both the Rufous and Anna's hummingbirds. 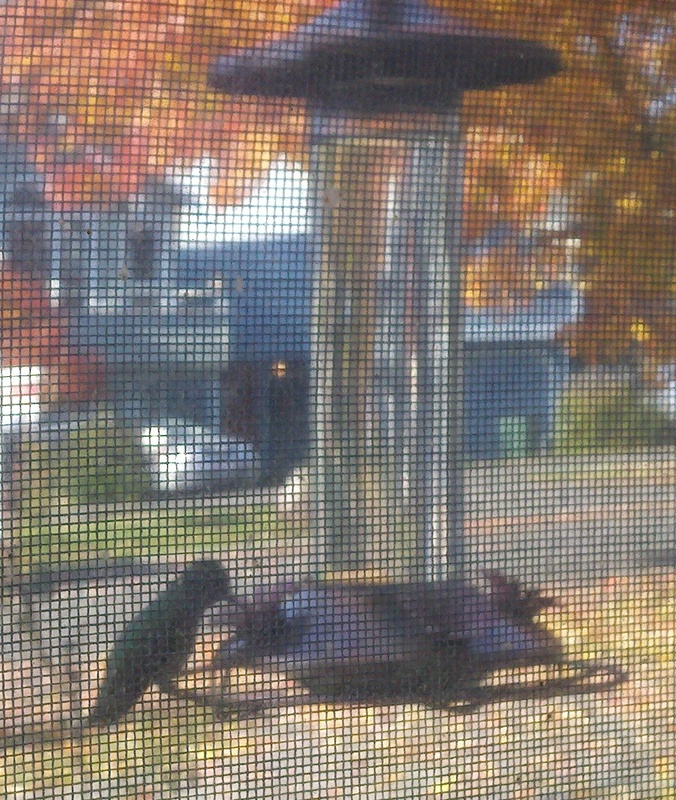 Hanging a hummingbird feeder for the first time? Don't worry if you don't see hummingbirds right away. The hummingbirds will need some time to discover the feeder. But not to worry. They will come! There is absolutely no need to purchase the typically overpriced commercial hummingbird mix. All you need to make your own mix is sugar and water. Nothing more. Use the ratio of four (4) parts water to one (1) part sugar. It really doesn't matter if you use hot water or cold to stir the mix. And don't bother adding food coloring. No need. The hummingbirds will find it just fine. Keep a second feeder handy during freezing weather, and switch them when the outside feeder freezes. During freezing weather bring the feeder in at night. 1. Do NOT adjust the mix! Keep the mix at 1:4 ratio sugar to water. Nectar concentrations vary greatly among a variety of plants hummingbirds visit, but they are typically low in sugar. Recipes with a higher concentration of sugar do not necessarily benefit hummingbirds because it cannot travel up the grooves of their tongue easily and may also damage kidneys and liver. Though increasing the sugar may help to prevent freezing, our experts recommend staying consistent with a 1:4 mix. White sugar and water only! No honey, brown sugar, maple syrup etc. Pure sucrose is what they need to survive. We do NOT recommend Red dye. A simple recipe of 1 part sugar and 4 parts water, mixed in a pan, bring to a boil, and then remove from heat and cool. You may store extra in the fridge up to two weeks. Clean feeder once a week during cold weather more often during warmer weather. 2. Have two feeders and rotate them. The mix will begin to freeze around 29 degrees. Rotating the feeders throughout the day will keep the fluid moving and available to the birds. Hummingbirds do not feed at night so you can bring the feeders indoor however they start at dawn so get a feeder back out as early as possible. Anna's can be very territorial, and may not share a feeder (especially multiple males), so having multiple feeders can help break up the fighting and competition for a single feeder. 3. Don’t enjoy setting your alarm for 5am? String Christmas lights around the feeder, the ambient heat can be just enough to keep things thawed (depending on how cold it gets). Or hang a trouble light nearby the feeding station, or from the bottom of the feeder. This is the light commonly used by car mechanics, or garage enthusiasts. It has a little cage around it and a hook at the top. Depending on the watts, it can put out enough heat on those especially cold nights. 4. Duct tape a hand warmer to the feeder. These hand warmers (or feet warmers) are pouches with chemicals in them that get activated once out of their packaging. They emit heat for approximately 7 hours. They are commonly available around town, Fred Meyers, sporting goods, probably Ace even has them. We have them at the Nature Shop as well. 5. Finally, another method to try is plumber’s heat tape. These flexible electric tapes are similar to a flat extension cord and can easily be wrapped around and taped to many types of feeders. Most heat tapes are equipped with a built-in thermostat in the cord. 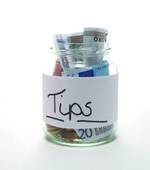 The wattage of these tapes is very low and does not draw a lot of energy. Try home supply stores and hardware stores for this product. 6. Don't stress too much about the welfare of the Hummingbirds. Generally, our winters are mild and the cold snaps are usually not that long. Hummingbirds are capable of reducing their body temperature at night and conserving their energy. They roost in trees and shrubs and do not use nest boxes or bird houses. They need a lot of sucrose (nectar) during the day to keep them going especially in the cold. In addition to nectar for fuel, hummingbirds will consume any insects they encounter which help them meet their protein, vitamin and mineral requirements. Insects can be found under bark and plants even during winter cold periods. Extended periods of cold such as the one we are experiencing right now, is especially hard on these small birds designed to spend winters in warmer climates. Some birds will not make it, however the strong ones will find a way to survive. Continuing to offer nectar is a way in which we can assist them. That is One Big Parrot! There is No Such Thing as a Quiet Parrot!